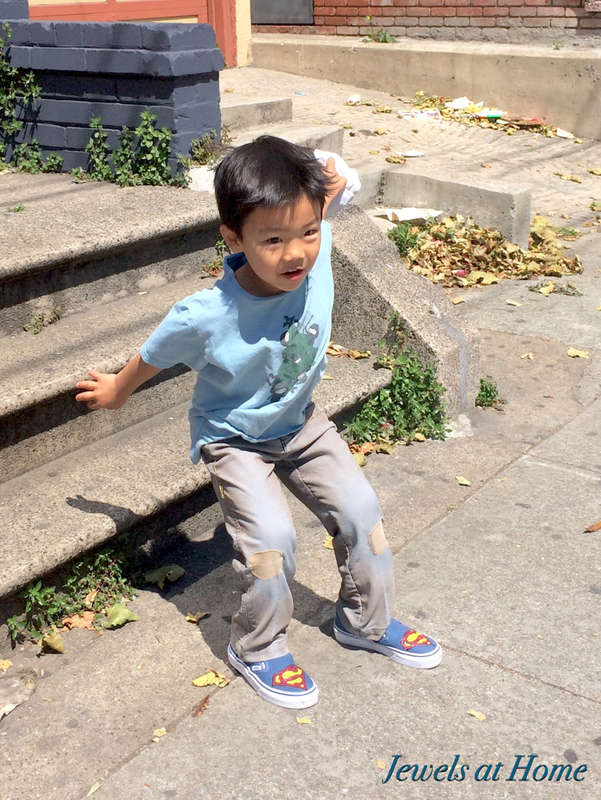 You may remember that our littlest is a big fan of superheroes, especially Superman. 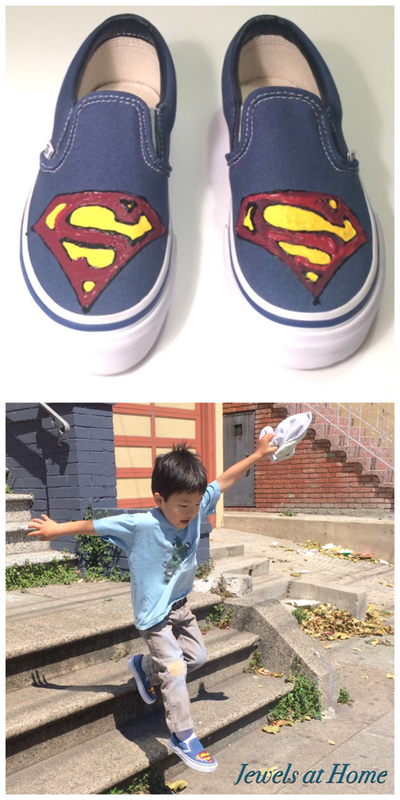 We threw him a fun Superman birthday a while back, and he dressed up as Superman for Halloween, also. 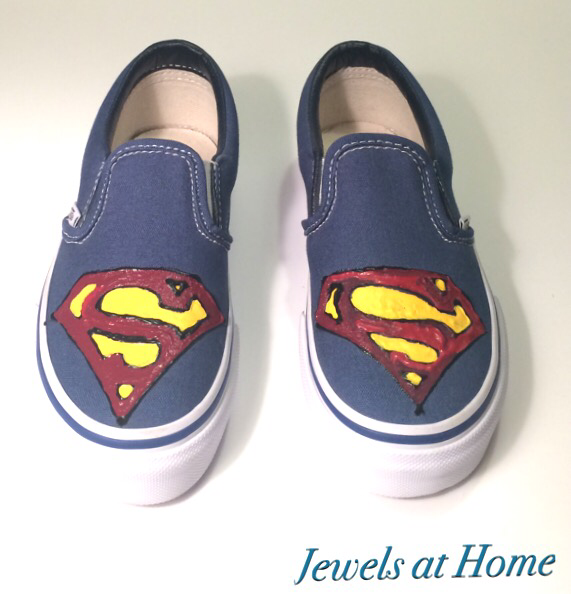 Of course, he wants all the Superhero-themed shoes, and I am not saying that I have never given in to these wishes, but generally, I try to avoid the commercial superhero shoes, because they have just a few too many lights and colors for my taste. 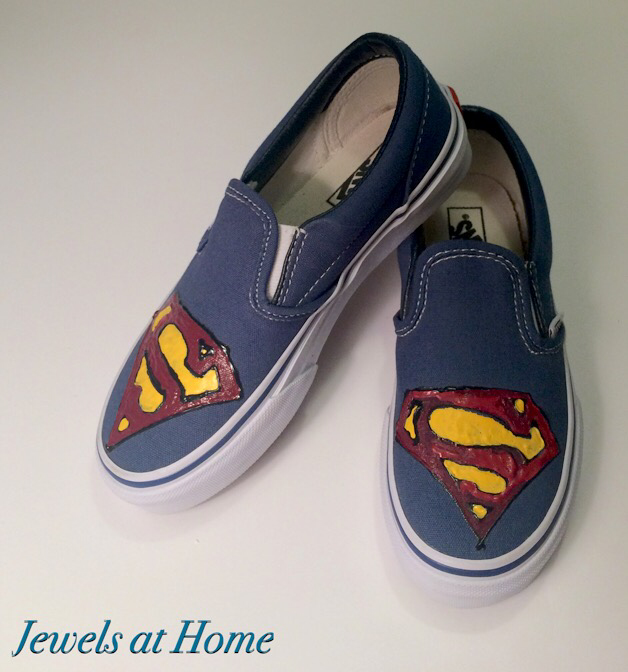 That being said, I like to keep my little guys happy, so I decided to get him a pair of plain blue slip-on Vans and paint a Superman log on them with dimensional fabric paint . 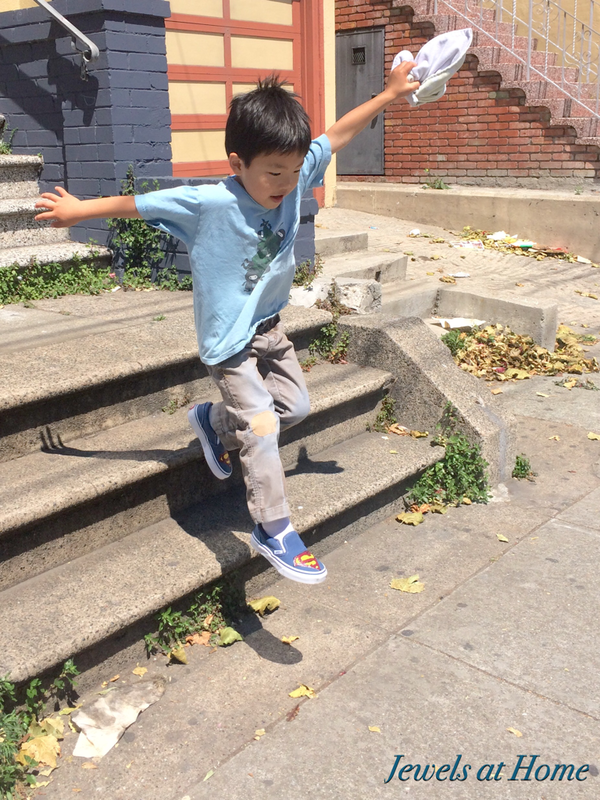 Now this mini Superman is ready to fly!